You're planning a trip to Orlando and you don't have any idea how to get started. The first thing you need to do is get out a pen, pad of paper and a Calendar. Once you find a vacation date that works for you, start using that pad of paper to calculate your travel budget. Are you going to fly or drive to Orlando? If flying, will you need transportation to the resort and/or area attractions? How long do you plan to stay in the Orlando area? What type of hotel amenities do you look for when traveling? Is Disney your sole destination, or do you plan to visit other area attractions such as Sea World and Universal? Do you like resorts that include complimentary breakfast or free meals for the kids? If you belong to a hotel's rewards program, is it to your advantage to stay at a resort affiliated with them? Does your family want to stay at a resort that caters to kids? Does the resort offer complimentary shuttles to the attractions and are you willing to travel according to their schedule? Are there non-Disney owned hotels that allow you to take advantage of Extra Magic Hour? Location wise, how close are the resorts to Disney? Are there any on Disney property? How does the family feel about the hotel? Get feedback from each family member as you go through the process. If being on Disney property and having amenities similar to those offered to guests at Disney owned resorts is important, then you should choose either the Swan or Dolphin hotels. These resorts are within walking distance to Disney Hollywood Studios and Epcot. 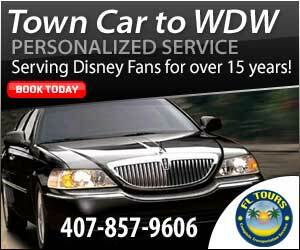 They offer complimentary transportation to all of the Disney theme parks and participate in Extra Magic Hour. The resorts located on Hotel Boulevard are conveniently located near Downtown Disney. Additionally, guests who stay at the Hilton in this area can take advantage of Extra Magic Hour. While Disney does have Value resorts, they are limited to parties of 4 or less. If your party consists of 5 to 8 guests, you'll often find that the cost of the two Disney Value resort rooms that you'll need is more than a suite/villa elsewhere. Some resorts feature free internet access, complimentary shuttles, refrigerators, microwaves, free meals, poolside movies, kid's programs and daily activities. There's even a resort where you can take scuba lessons. If you plan on scheduling pool time or recreational activities, there are many resorts to choose from with outstanding facilities. The easiest way to compare resorts is through an agency that specializes in Orlando travel. Naturally, we recommend Dreams Unlimited. Unlike the anonymous "big box" agencies, the staff at Dreams Unlimited visits each of the resorts that they offer. Not only do they negotiate the best rate, they make certain that it's a hotel that their guests will be happy with. You have the date; you've compared resorts, narrowed down your choices and now comes the most important factor for most, the price. You should begin with the total cost you're able to spend on your vacation. First, factor in the cost of admission to the different attractions you plan to visit. Your goal is to take in the sights, not sit in a hotel room because you weren't prepared for the cost of the parks. Another cost factor is transportation. If you don't pick a hotel that offers shuttle service, you're going to need a car; use taxis or hire a car service. 1. When you travel is important. The hotels adjust their rates depending on the "season." You can expect to pay top dollar when traveling during the major holidays. Another more expensive time to go is during school breaks. Least costly is January till mid February, the weeks following Easter till the end of May, late summer and Fall and the time between Thanksgiving and Christmas. If you belong to a hotel or credit card loyalty program, check to see if you’ve earned a free stay or a reduced rate. Choose an agency that specializes in the Orlando area. Again, that’s Dreams Unlimited. 4. Did you know that some Orlando resorts offer special rates to members of service organizations, military, government workers, nurses, teachers, and AARP members? Dreams Unlimited does and will let you know if your affiliation will reduce your rate. For questions or assistance please e-mail Teresa Echols at Dreams Unlimited Travel.